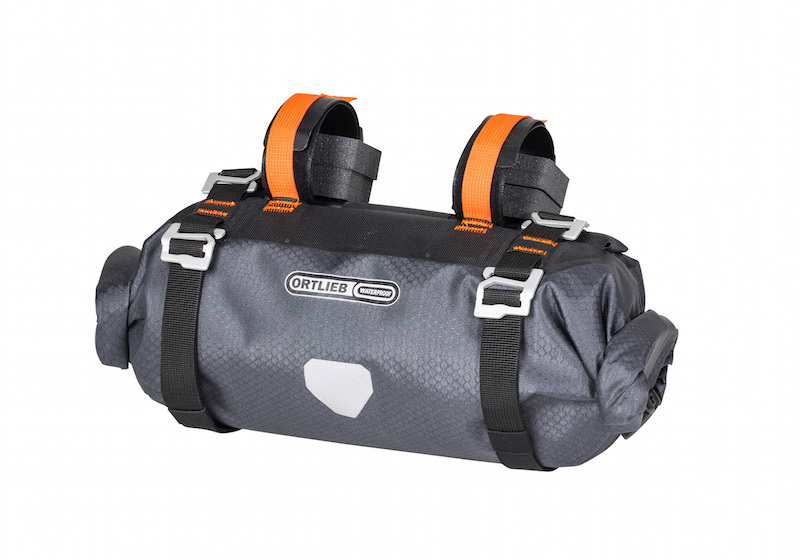 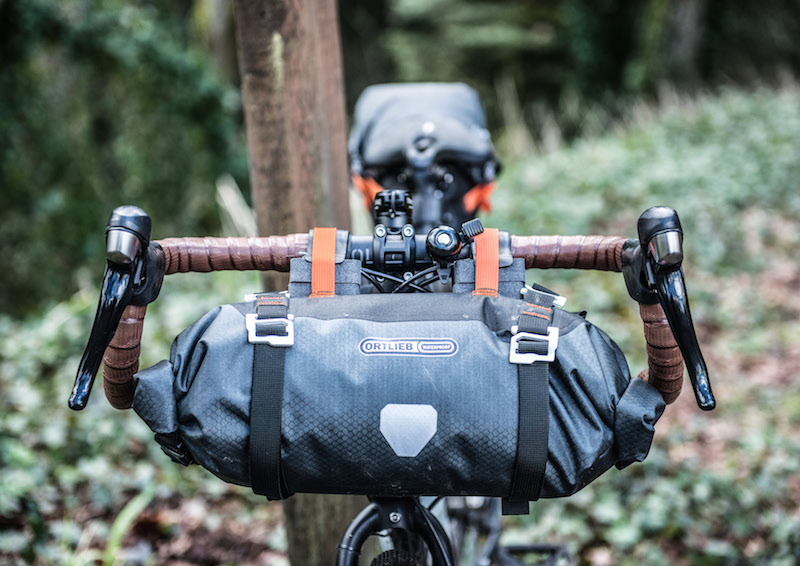 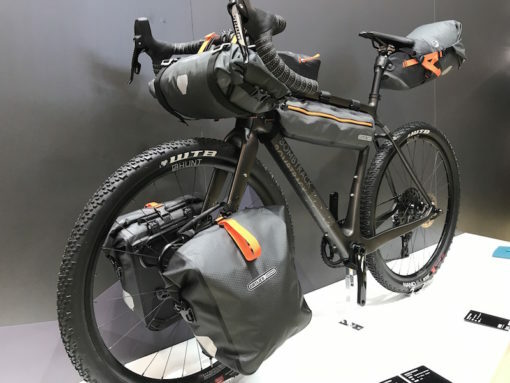 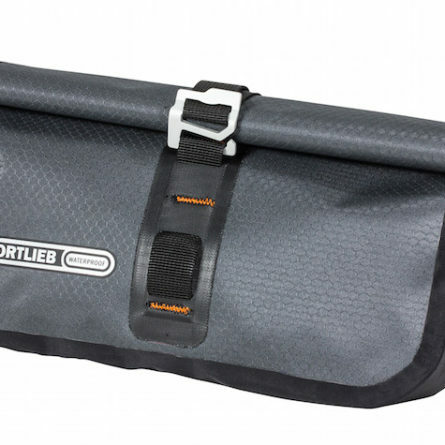 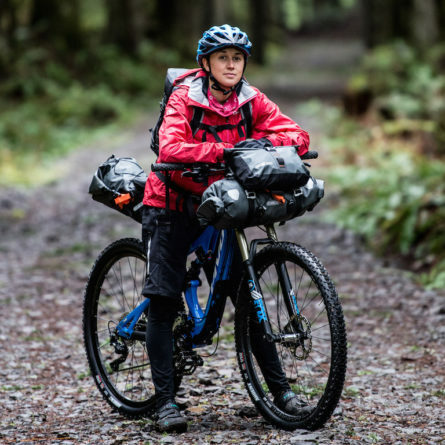 Ortlieb’s Handlebar-Pack S is a waterproof Bikepacking bag that attaches to the handlebar. 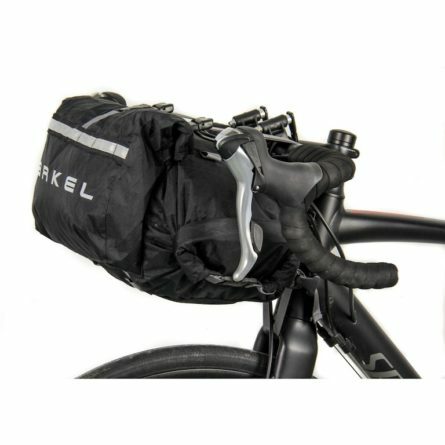 The compact design is suitable for drop bars and endurance racers with smaller loads. 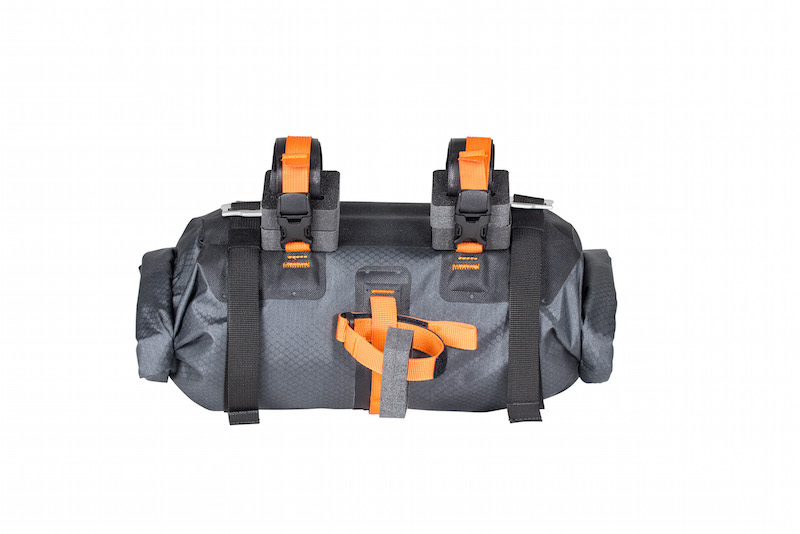 The tubular shape is ideal for carrying a lightweight sleeping system. 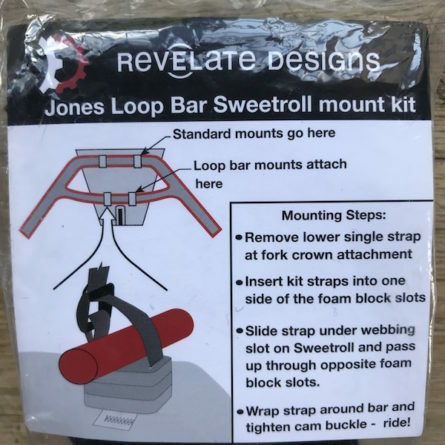 The Handlebar-Pack S can be securely attached to any handlebar with the attachment system of Velcro and buckled straps and spacers. 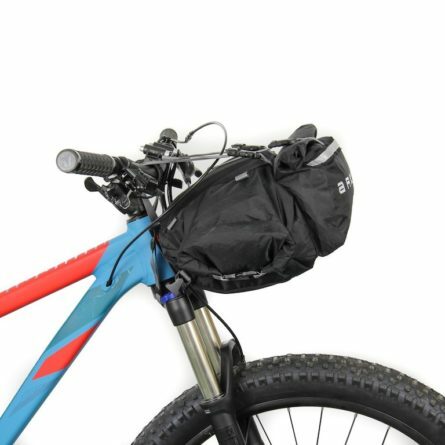 This together with internal stiffeners and the head tube attachment ensure stability on rough terrain. 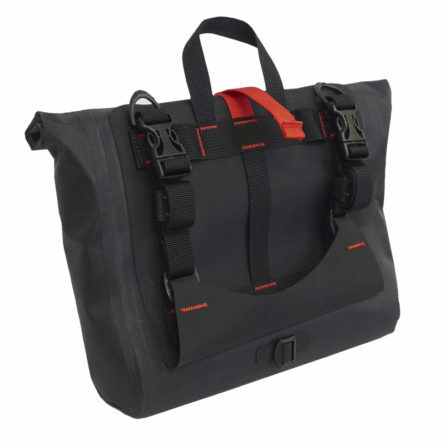 The bag is made from abrasion resistant PU-laminated nylon and has reinforced contact areas. 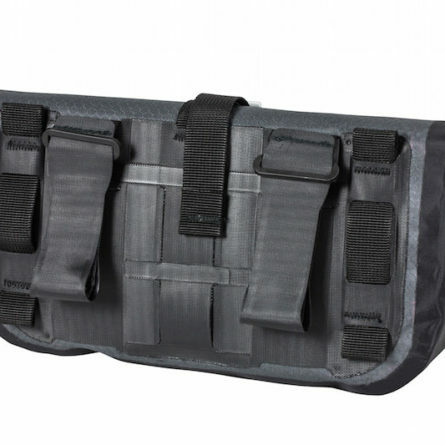 The roll closures on both sides offer quick access. 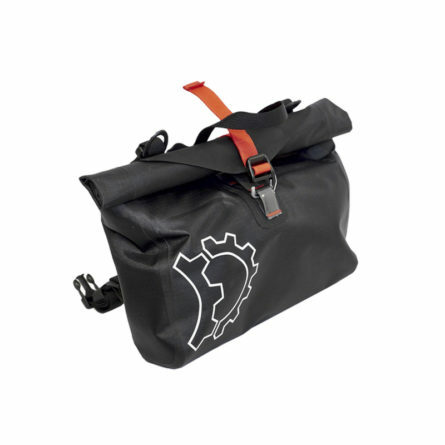 There are hooks for attaching the Accessory-Pack.